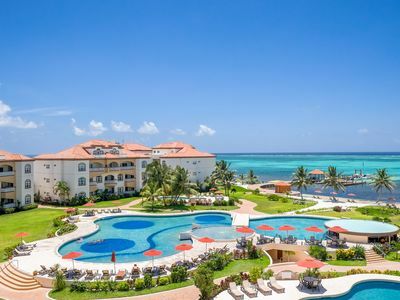 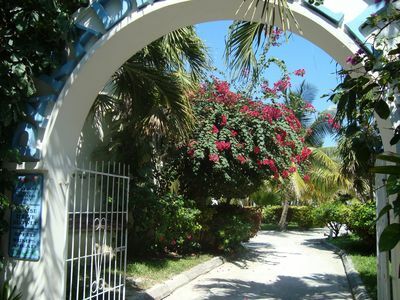 This lovely ground floor two bedroom, two bathroom condominium is the perfect vacation home. 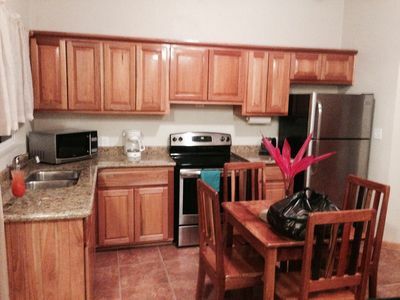 Tastefully decorated, the living/dining/kitchen area feels open and roomy. 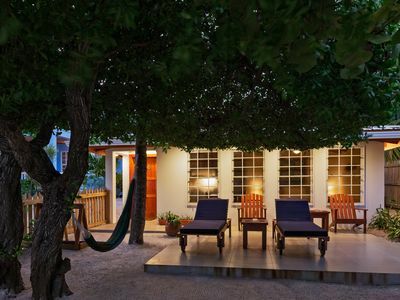 The large master bedroom offers a king bed, floor to ceiling windows and an en-suite bathroom equipped with a large soaking tub as well as a walk-in shower. 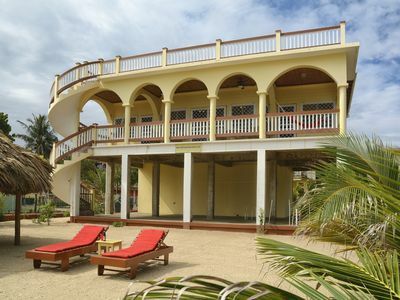 The second bedroom offers a queen bed with an en-suite bathroom. 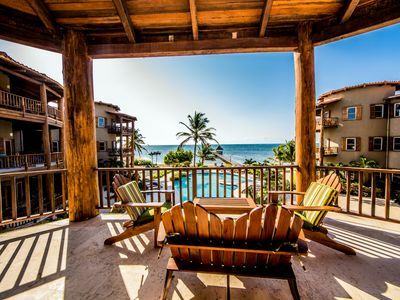 Enjoy the incredible ocean views from the spacious, walk out patio. 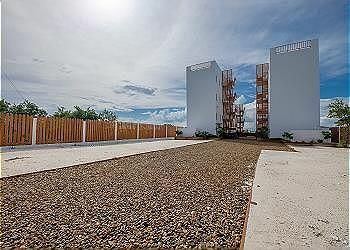 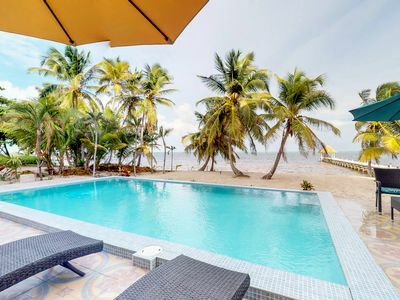 Part of 'The Landings at Tres Cocos' family, which includes additional one, two, three and five bedroom options, this condo is located just north of the bridge at the cut and less than one mile from San Pedro Town. 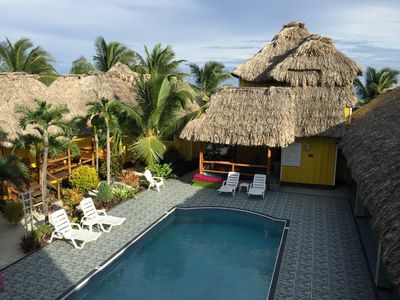 Close to restaurants, bars, and shopping yet far enough away to be quiet and relaxed. 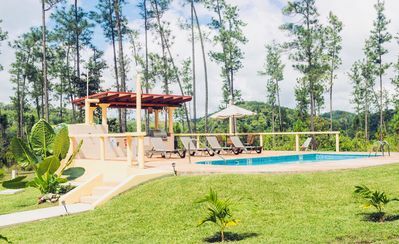 Guests of the property enjoy two fresh water swimming pools, a salt water swimming pool, a beachside BBQ cooking station, dock and an on site management team that can assist you as needed. 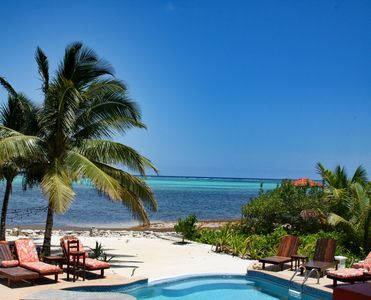 Our goal is to ensure you have a relaxing and unforgettable vacation while enjoying all that San Pedro and Belize have to offer. 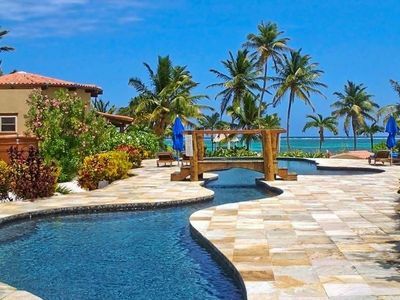 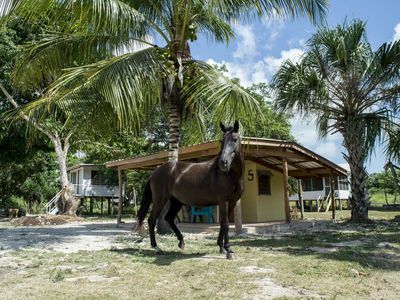 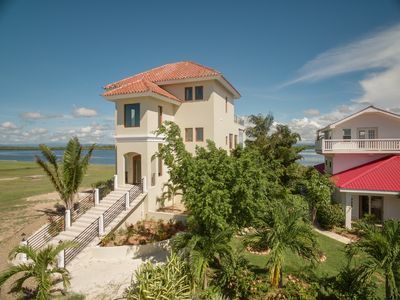 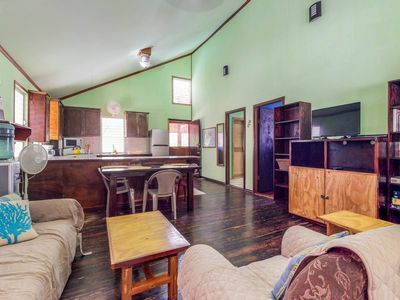 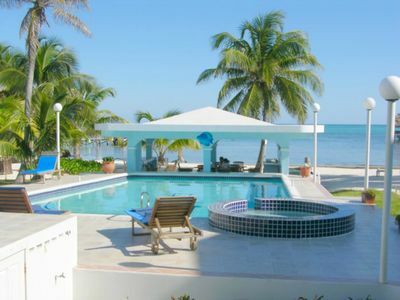 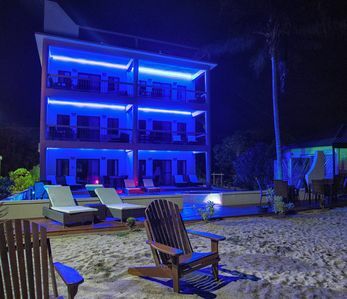 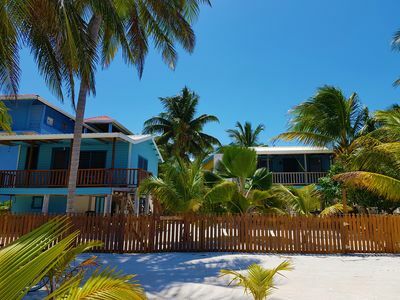 We are proud our property is ranked as the #1 specialty lodging option in San Pedro, Belize. 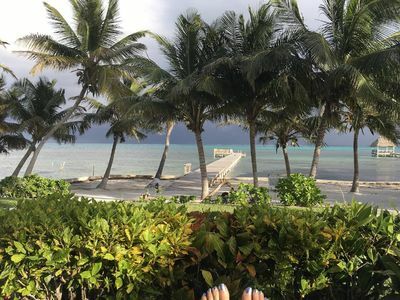 Sunsets over the Lagoon & Mayan Mountains with Laguna Gecko! 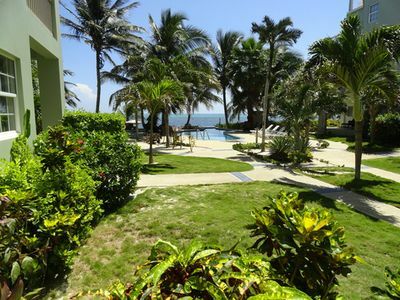 Oceanfront condo with amazing water views and a shared pool! 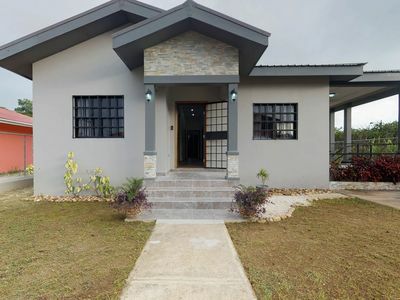 Newly constructed modern house w/full kitchen, entertainment, and AC!